To many skeptics, particularly on the right, the spectacular failure of the solar-panel manufacturer Solyndra in 2011, after receiving a $535 million loan guarantee from the Department of Energy, demonstrated the industry’s shaky future and the danger of government efforts to subsidize it to success. Fast forward to today. Solar energy prices have continued to fall rapidly, twice as many Americans work in the solar industry as in coal mining, and last year one-third of new electricity generation came from solar power. Solar, long viewed through the lens of crony capitalism, has shown the ability to inject real market competition in energy distribution, one of the last monopolies in the energy sector, while improving the efficiency of the grid and putting more dollars in the pockets of middle-class Americans. Conservatives, in other words, need to take another look at solar. The case for solar isn’t limited to prices and jobs. Consumers want choice. Unfortunately, in most markets around the country, electricity is still one of the few areas where we have virtually no choice over our supplier. Imagine you want to buy a G.M. car, but you were told you can buy only a Toyota. You’d be outraged — yet this is how almost all Americans are forced to procure their electricity. 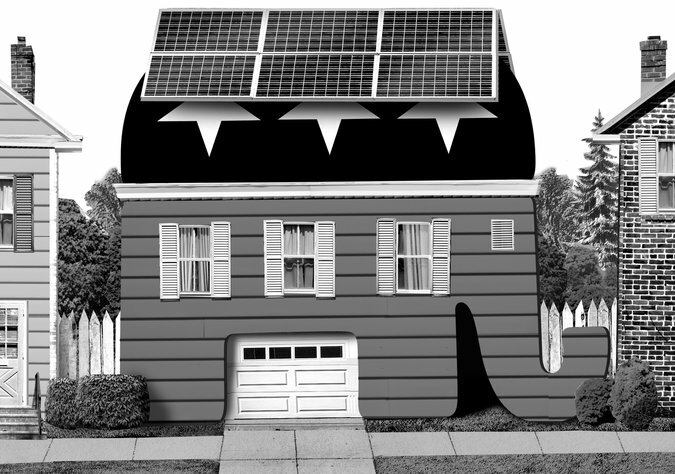 Jesse Grossman looks at how different states are pricing distributed solar. America’s solar industry is hoping for an attractive post-2016 economic outlook by pushing to extend the federal Investment Tax Credit while strengthening state-level regulations and policies. But our regulatory priorities shouldn’t overlook an equally important economic issue: properly assessing the value of solar generation. As federal and state incentives decline, our attention must turn to accurately pricing and valuing kilowatt-hour revenue from solar electricity sales. Multiple factors tally up to the true value of a solar kilowatt-hour, including the costs of moving solar across a transmission and distribution network, external environmental costs of fossil-fuel generation, and avoided capital for anticipated grid maintenance costs, to name a few. Since solar is primarily developed as a distributed energy resource, externalized costs are lower than centralized generation, but they often aren’t reflected in pricing. This point is reflected in a recent analysis of 11 studies showing that rooftop solar’s median value was $0.17 cents per kilowatt-hour, while the average U.S. retail electricity rate was $0.12 cents per kilowatt-hour. Price controls, subsidies, and production caps in any industry have a history of unintended economic consequences. You may have noticed that the number of solar installations throughout New Hampshire is growing, whether on residential rooftops, adjacent to municipal water treatment facilities or behind growing businesses. Some of these installations show up motivated by the thought of environmental responsibility while others show up in an attempt to offset one of the highest utility costs in the country. Whatever the reason, the last year has seen a tremendous growth in New Hampshire renewables, particularly solar. The Public Utilities Commission regulates these installations. Under current law (RSA 362-A) up to 50 megawatts of renewal power may be generated and connected to the existing power distribution infrastructure, e.g., the power lines running through the neighborhood. To put this into perspective, total power consumption in New Hampshire is about 4,300 megawatts per year. The 50 megawatts are allocated among the state utility companies based on an output formula. Eversource, the largest state utility has been allocated 36.5 megawatts, Unitil 6.2 megawatts, Liberty 4.2 megawatts, and the Coop 3.1 megawatts. When these “caps” were set, it was believed that they would be adequate for many years. That is where this policy has gone awry. At a PUC meeting on July 30, we got some insight into the status of the cap. Depending on how you look at the cap, and there are several approaches, we are running out of development room. Last week, the Liberty cap was filled in a dramatic display during a PUC hearing when a developer wrote a check on the spot to lock up most of the remaining queue.